This is a pre-order item. Our expected ship date is May 24. We recommend pre-ordering early to lock in today's price and to avoid potential sellouts. Each $84 box contains 36 packs. Each pack contains 10 cards. 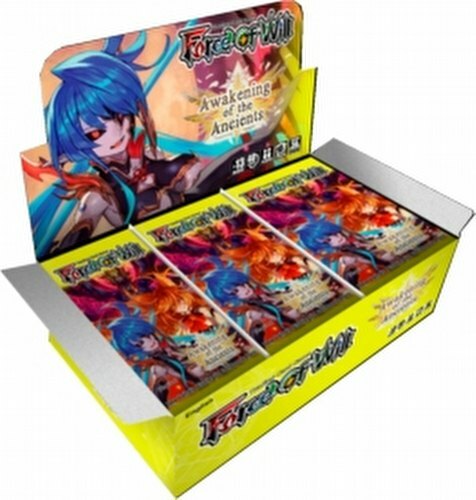 Bonus Offer: You will receive a free promo card with the purchase of two booster boxes. Force of Will: Awakening of the Ancients continues the design philosophy from the first set - rulers will not be included. 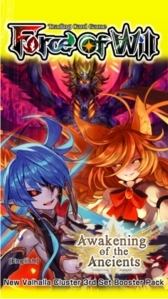 The card distribution rate will also take after the first and second set, being easier for players to collect four copies (a playset) of necessary cards. The set includes 10 SR, 20 R, 30 U, 40 C, and ??? SEC. 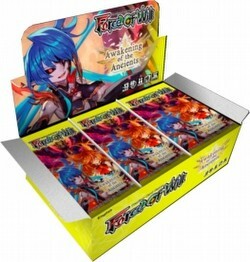 Included within each booster box is a basic ruler pack containing 2 copies of each of three sealed format rulers, 6 copies of each basic magic stone, and a promo card. Sealed and draft formats are supported with this set.